GWPRA Chair, David Slingo has had to step down from the role due to moving away from GWP. John Boden, Vice Chair, has kindly volunteered to cover the role until the Annual General Meeting and elections on Thursday 4th May 2017. We would like to thank David for all his hard work, wisdom and the strategic direction he has given to the GWPRA. We also wish him and Julia all the best for the future in their new home. 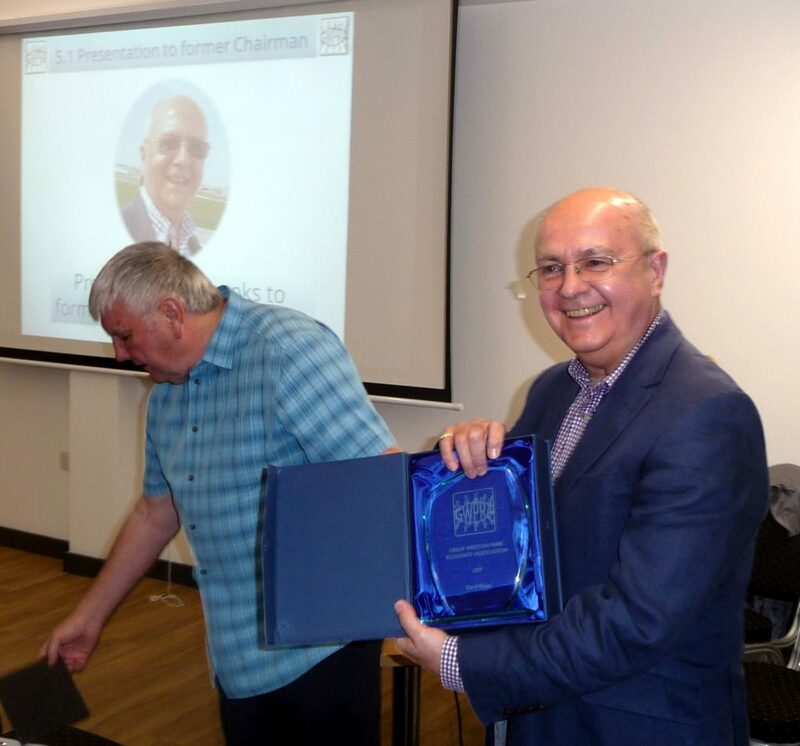 Picture: John presenting David with the award provided personally by the GWPRA Committee, at the April 2017 meeting.